NLFX Professional Platinum Series cables are built using the Finest cable and connectors to ensure you quality performance for the life of the cable. Our Premium DMX cable features superior signal transmission while meeting the suit specifications for cable properties. 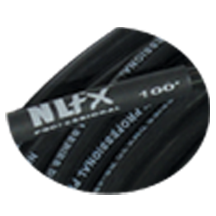 All NLFX Professional Platinum cables use industry-standard Neutrik connectors for reliable connections every time. These metal connectors are built to last, and Give Cable strain Relief. If any Platinum series cable fails due to material or workmanship, return the cable to NLFX Professional for repair or replacement. Trust your signal transmission to Dependability of NLFX Professional Platinum Series Cables!